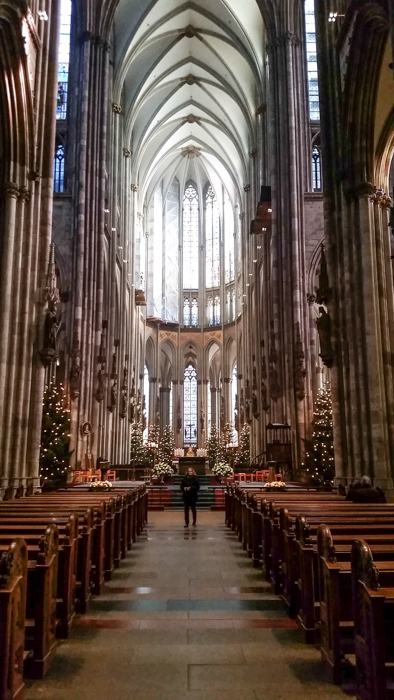 I am with my family this week in Vienna so I decided to catch up on blog posts from Cologne and from Vienna in the winter. When the train crossed the river this morning [Dec. 30] I saw the cathedral. It was thrilling. I saw it with my mother in 1990 and she reminded me that it was one the last things her mother saw when she left Germany as a late teenager in 1895. My grandmother had a great love for the cathedral of the city where she spent most of her early childhood and life. 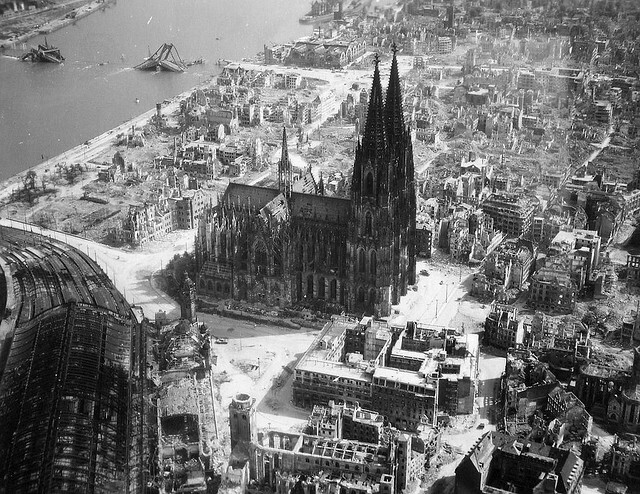 The cathedral was spared major damage during the bombings. However the photos are very haunting in that only the cathedral stands in a city reduced to a rubble of stones. 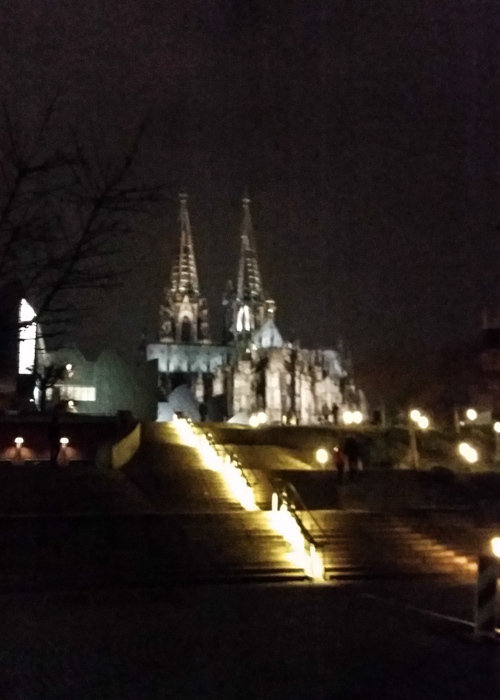 The cathedral was spared and today it still towers over Cologne. And gives witness that God is to be glorified in a beauty that invites us to share the beauty of human life that has been given as a gift. This entry was posted in Europe, Faith and tagged Cathedral, Cologne on April 8, 2015 by frjfkauffmann.